Services for residents in boarding homes and licensed health care facilities. The Board and Care staff monitors residential health care facilities and licensed boarding homes for regulatory compliance. Board and Care staff places Atlantic County residents who qualify for Board and Care and provides social and protective services to all residents in boarding homes. 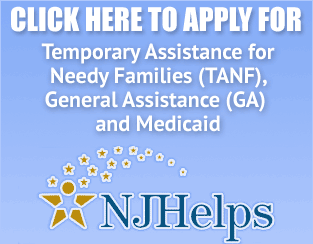 Child support enforcement services for TANF recipients. This service locates non-custodial parents and establishes paternity and/or secures court orders for child support and medical insurance for Temporary Assistance to Needy Families (TANF) and Medicaid recipients. To be eligible parent must provide documents relating to marriage or divorce, employment records and any vital information relevant to locating non-custodial parents and copies of any prior support orders. Prevention services for families receiving TANF or SSI and GA individuals. This service is designed to prevent homelessness for families receiving Temporary Assistance to Needy Families (TANF) or Supplemental Security Income (SSI) and individuals receiving General Assistance (GA). Prevention services include past due rent, first month's rent, security deposits, utility deposits and late payments, furniture, food and intra and interagency information and referrals. Investigates allegations of welfare fraud. This service investigates complaints of possible fraud committed by welfare clients. Complaints are taken from private citizens and other agencies. Those making a complaint may remain anonymous. Where probable fraud has been determined, is turned over to the prosecutors' office for enforcement. The fraud unit also prosecutes cases remanded by the prosecutors' office to municipal courts in cooperation with county counsel and seeks civil judgments in appropriate cases. The principal function of the fraud unit is to help maintain the integrity of the public assistance programs administered by the Department of Family & Community Development. Provides affordable health insurance to children from birth through 18 years of age whose family income level meets the program’s criteria; in addition provides medical benefits for low income, aged and disabled. 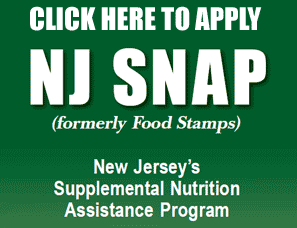 Visit the NJ Family Care web site for more information. Medical benefits for low income aged and persons with disabilities. This service provides medical benefits to certain New Jersey residents who have incomes that are too high to qualify for the regular Medicaid program but meet the income and asset limits of the program. The following groups of individuals may be eligible: Aged 65 years or older, blind or disabled, pregnant, needy children under the age of 12. This office also assists persons applying for the Qualified Medicare Beneficiary (QMB) program. To qualify as a QMB, the same Jersey Care requirements apply and you must be receiving Medicare Parts A and B. If you qualify as a QMB, certain costs not covered by Medicare such as deductibles and certain coinsurance for services rendered by Medicaid-participating providers are covered by the Medicaid Program. If you are eligible, the State will also pay for your monthly Medicare Part B premium. PHONE (609) 348-3001, ext. 2872.